Sunshine Award - Chocolate Chocolate and More! Did you ever notice whether it’s a party or just two people getting together for coffee, everyone gathers in the kitchen? That’s probably why “foodies” are some of the nicest people you’ll ever come in contact with. Food brings us together, at home, at work, and even through the internet. I was truly honored to be given this award by a fellow blogger. I was humbled when five of my foodie friends all choose to give me the Sunshine award in the same week. 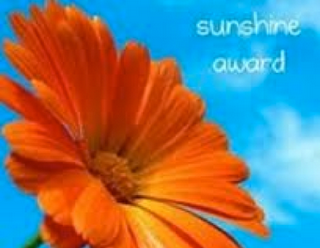 The Sunshine Award is an award given by bloggers to other bloggers. The recipients of the Sunshine Award are: “Bloggers who positively and creatively inspire others in the blogoshere.” The way the award works is this: Thank the person who gave you the award and link back to them. Answer 10 questions about yourself. Select 10 of your favorite bloggers, link their blogs to your post and let them know they have been awarded the Sunshine Award! Don’t forget to copy and paste the award on your blog! I wanted to thank the ladies who gave me this award by sharing something from their blog, something drool worthy, something that will make you want to go check them out. And something that won’t bore the non-blogging reader. After all you come here for the food! So let’s keep some food in this post! Love Bakes Good Cakes-Jamie is fairly new to blogging but what she brings to the table is family friendly. It better be, she’s a mom to 5 and home schools them all. I’ll bet this cake didn’t last long at her house! Carrie’s Experimental Kitchen-Carrie is always so healthy and inventive with her dishes. You can probably find 30 different ways to make chicken on her blog and each one is full a flavor and easy to make. She’s got 2 girls that approve her recipes so I know if Carrie posts it, my kids will probably eat it too. Oh, and did I mention, Carrie has a cookbook coming out soon? Lisa’s Dinnertime Dish-Lisa offers up everything from cream puffs to chicken wraps to BBQ ribs that look like the meat is just falling off the bone (this post was even written by her husband.) She makes every dish look effortless and she always looks so put together. 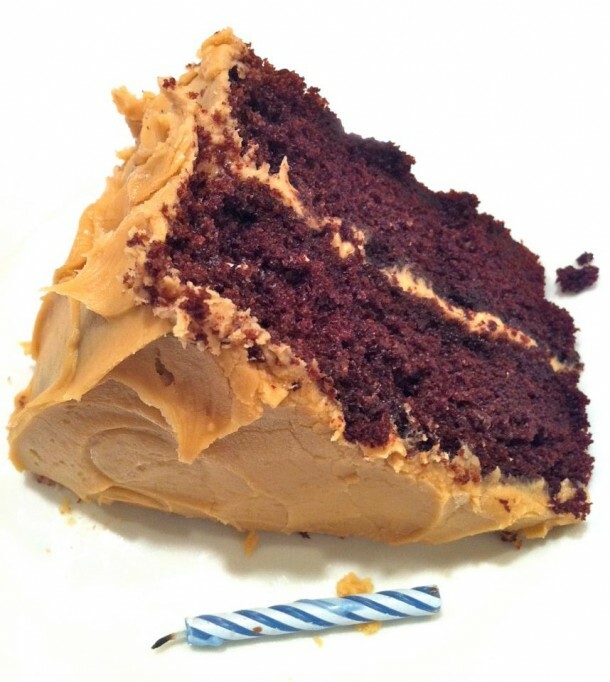 The Fountain Avenue Kitchen-Ann gives you the best of both worlds, sweet and savory. She always tempts me with her desserts and then I go see a beautiful veggie dish. Her blog is balanced just like her. Wife, Mom, volunteer, runner-did you know Ann has run a marathon? Wow, I hate running to the door in the rain. Recipes for my Boys-Debi is just the sweetest person you’ll ever meet. Like me she shares what she serves up for her family, hubby Ted and her 3 boys. I know when she posts something I’ll probably have the ingredients in my cabinet already. I’m lucky enough to get to co-host Thursday’s Treasures with her every week. I didn’t even realize when I started picking out favorites from each of these ladies that each one was a sweet, but hey, that’s the way I lean. 2. 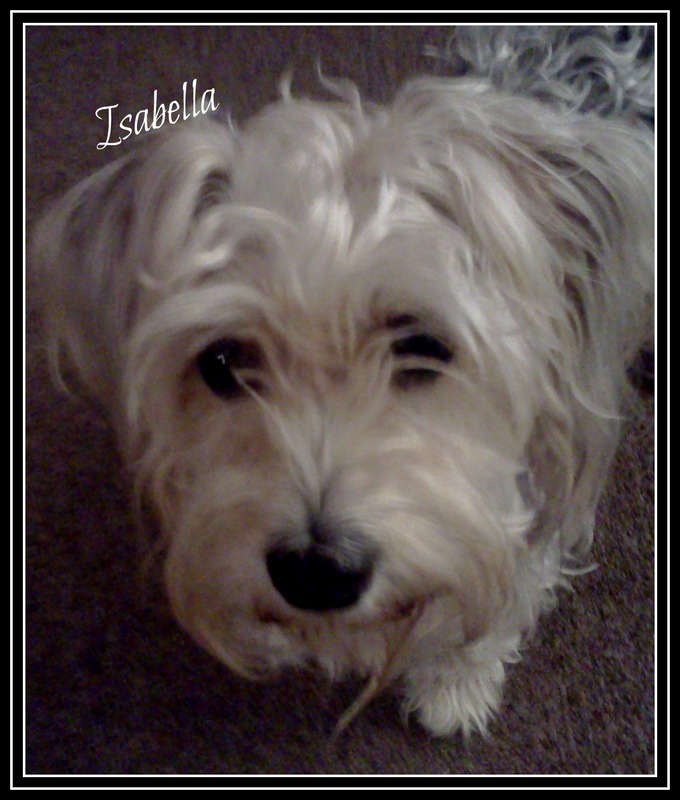 Favorite Animal–of course, my cute baby Isabella, she was a rescue dog, pees on the carpet, will run off if you leave the door open and sleeps between my hubby and me every night. 4. Favorite Drink-alcoholic-Kahlua and Cream, I’m a light weight and with the cream in the drink, I’ve never had a hangover from it. Non-alcoholic-my morning coffee, can’t start the day without it and either hubby or the kids will bring me my first cup in bed, everyday. Yes I’m spoiled! 5.Facebook or Twitter-Facebook, I’d love to do twitter but I’ve never figured it out. Anyone offering to tutor me? 6. Good Book or Good Movie-Book! If there’s a movie made from a book, I always make sure I’ve read the book first. Please movies are always so expensive these days. 8. Giving or Getting Presents-always giving, I love to see the smile on someone’s face when they get a present or a baked goodie, just because. 9. Favorite Day of the year-the second day of vacation. We’re there, we’ve rested and it’s time to enjoy! 10. Favorite Flowers-anything my children pick for me even if it’s just dandelions. I know I was only supposed to pick 10 but really, I could have picked 50, and there are at least fifty that are worthy of this award and then some. But this cute little face is telling me it’s time to go out, and who could say no to that? Thank you so Joan and you had to pick those pears…they were incredible but the photo looks horrific. LOL I love reading these replies! Thank you so much, Joan! You are such sweetheart!! Oh yay, thank you so much for passing the sunshine on to me! I needed some sunshine today. Congrats on your 5 awards, well deserved! I’m going to have to try your Kahlua and Cream. I’m all for a drink that never comes with a hangover. Yeah on the Sunshine Award, Joan! Keep up the great work. Awesome answer for your favorite day of the year. You rock in so many ways! Your write-up is thoughtful and beautifully crafted. 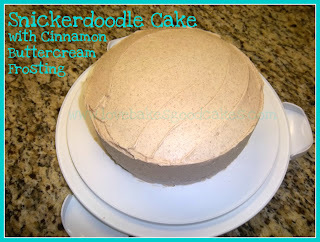 It’s witty, yummy, and just plain wonderful! Thanks, Joan, for making the sun shine even brighter! Thanks Joan!!! Made my Day!! Awe thanks so much my dear. I am truly touched to receive this. You are a total sweetheart Joan, and it is appreciated. Your Isabella looks like my Malia. Make it 6! I was just stopping in to let you know I’m passing the Sunshine Award along to you too! You are loved by many!! Thank you so much, Joan! You are such a sweetheart. I lean more towards the sweet side, too. I’m so glad you found my blog b/c I am now in love with yours. Thank you, thank you! Thanks for thinking of me Joan! I love reading these fun facts about you!! !